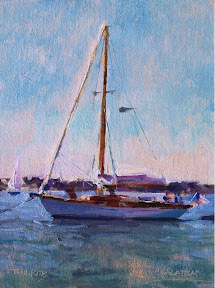 Sold a painting today at the Oxford Yacht Club during the Pre -Plein Air Easton Paint out. "Galatea" 9 x 12 oil on linen on panel. 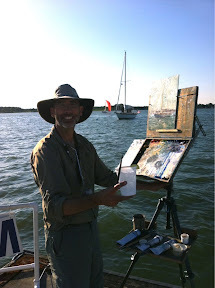 Here I am, on the deck, painting the boat during a regatta. It is a 1973 Troy Lee designed by the man who designed boats for the America's Cup. Beautiful. 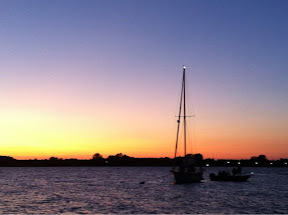 And here is the boat again just before I drove home to my hosts. You were certainly in the right place at the right time! A regatta! And a great painting! Congrats on the sale. Wow, what a beauty it is! Wishing you huge fun and success...but of course, you don't need more fun do you? LOL!